At Diamondline Jewellery we understand that selecting a diamond can be a confusing experience, being bombarded with information about V.V.s. stones, GIA certificates, cut, carats and colour so we have set this page up to do our best to help you understand a bit more about diamonds and so take some of the bewilderment from the buying process, and more importantly, to make it a relaxed and enjoyable experience! Once you have decided what it is you are looking for, please feel free to send us an inquiry. 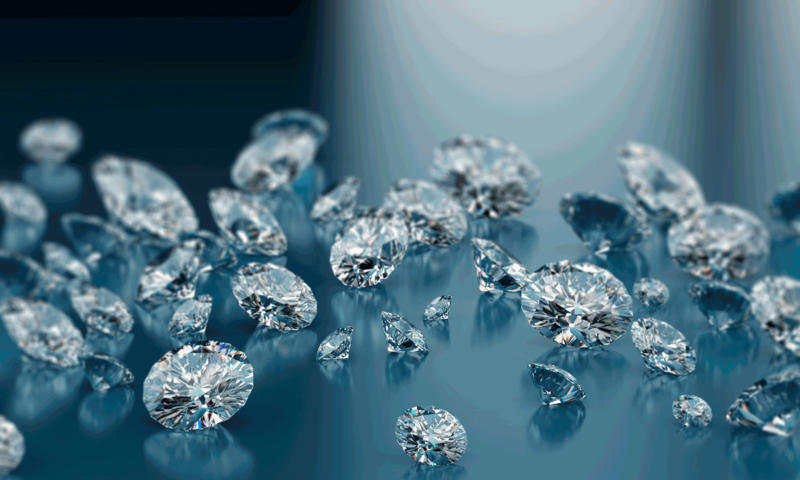 Our staff have an extensive knowledge of diamonds and we are confident we can find the perfect stone for you! After digesting all this information it is important to note that a stone doesn't have to be at the top of every scale to be a beautiful stone, it is also a matter of personal preference! If you would like to talk to one of our experienced staff members about diamonds or anything you have seen on this site, please get in contact with us and we will do our best to assist you.